911uk.com - Porsche Forum : View topic - Interesting detail in 991.2GT3 owners manual, flat shifting! 911uk.com Forum Index > 911 GT, R & RS Models (1973 - current) > Interesting detail in 991.2GT3 owners manual, flat shifting! 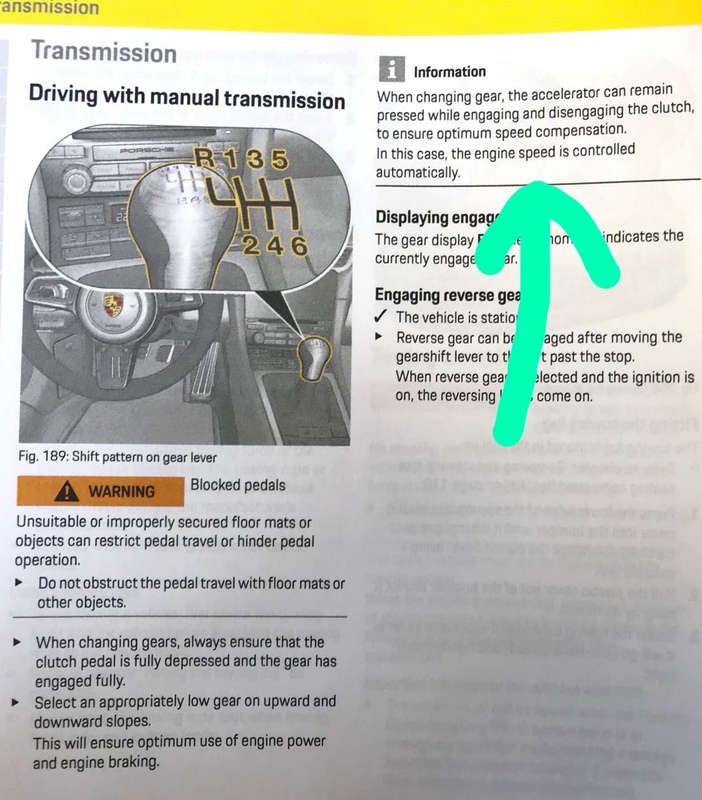 Posted: Mon Apr 02, 2018 8:10 pm Post subject: Interesting detail in 991.2GT3 owners manual, flat shifting! Some superbikes have had "quick shifters" for a while now - cuts ignition and / or fuel supply for a hundredth of a second or so, for full throttle, clutchless upshifts. The 991.2 manual GT3 also has rev matching for downshifts to make you sound like a heel & toe hero (as well as helping avoid engine braking locking up the wheels on severe downshifts!!). I went out last week in my mate's 991.2 GT3 (he's on here too) - it's savage!!! What a car! Cunno, great clip but it's makes me wince. Rick at Unicorn can map this feature in to any 996 / 997. Among many other cool stuff. I’m all for a GT4 PDK/manual then ... will that be with a sequential type lever ? 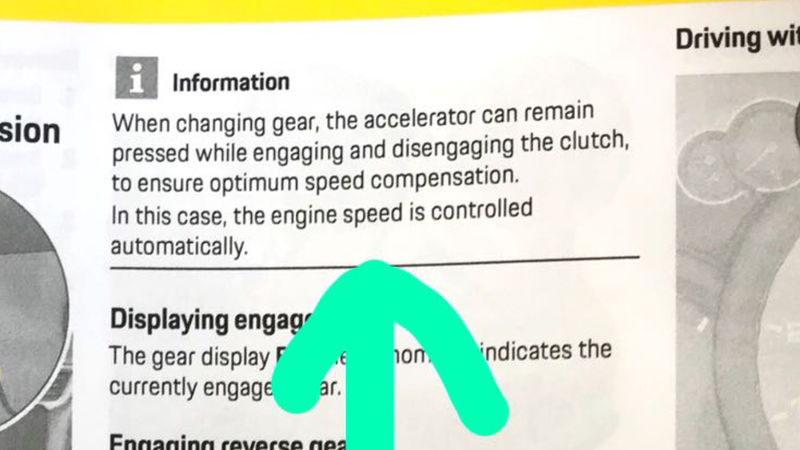 Sorry everyone, I know this is when you don’t take your foot off the gas but it looks like from the video you don’t push the clutch in either??? Is that right? The video was mental but wasn’t massively clear on this I must say. No clutch! Now that is insanely cool! Now that is a bit more than could be achieved from a remap. Must be like driving a sequential. Gee whizz , just managed to watch the video ..... seems a bit of a strange method there , made me wince each change , something doesn’t seem right changing like that ? B: clear indication of how much faster a DCT is. The new GT3 is not so much a driver's as a car you can steer yourself. It's selling point will soon be proclaimed as 'a very fast, powerful car with autonomous steering'.